For generations, humans have always tried to express their creativity through food. 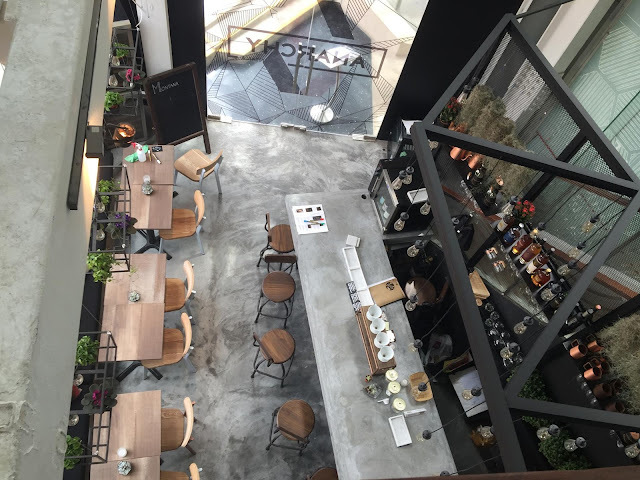 From the same group of people who brought to you Roosevelt's Diner & bar, Montana Brew Bar has found its way to an identity that incorporates both westernised and local delights — a feature that would attract the locals and expats alike. Here are some mouthwatering, unedited, raw photos of Montana Brew Bar accompanied with a short review of their ambience, service and food. Montana is the world's first coconut cold brew specialist. There is a hint of sweetness from the coconut water, though I felt that it was pretty faint. Enjoy your coffee on a sweeter note with the gula melaka - which is a preferred choice among my foodie friends! The aroma of the coffee was a great therapeutic experience for the weekend afternoon. The bubbles in the microfoam, however, was too large or thick. I'm not sure if this is because we took our time taking photos - thus much of its delicious bubbles have 'burst away'. Century egg potato foam with garlic panko, ginger balsamic glazed chorizo & italian sausage. Served with wholemeal toast on the side. The thick, fat and reddish chorizo was not only juicy on the inside, but crispy on its skin. It was spicier than the chicken sausage because of the paprika. The chicken sausage has a great smoky flavour but its colour look quite sickly. Unfortunately, I did not fancy the toast as it was rather soggy by the time I tasted it. Five spice chicken confit, chive waffle, served with smoked ginger plum coleslaw and smoked ginger plum sauce. The chicken was really, really juicy. I'm surprised at how it can fit the ginger plum sauce so perfect - it brought about perfectly-balanced flavours with the right amount of acidity. The waffle, however, was not as crisp as I'd hope to be. If there's one thing you should try, it would be this. Crab & seafood patty, yuzu coleslaw, raisin caper relish. Served with thick cut of fries. Here's another one of my favourite - a huge slab of crab and seafood patty wedged in between a set of soft yet fluffy muffins. I've asked Ying why she decided to put the burger on paper instead of a plate served with knife and fork, and she said she found that eating burger with your hands always taste better. Totally agree - but I think it'd be better if the paper was somehow folded in a way to look more presentable! Yums - even Tiara has her thumbs up. Montana Brew Bar's freak cakes stole my heart away. Everyday, the pastry chef spends much effort into curating the best looking freak cake. It not only looks good, but tastes fantastic too! Absolutely love the texture in between spongy and crumbly. Thanks so much Ying and the service crew for hosting us! 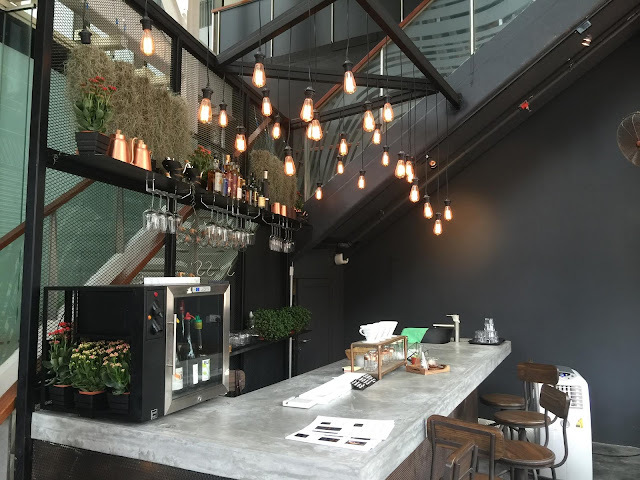 The brew bar is located on the first level and the dining area on the second. The bar only opens when Ying, the owner, is around.